More emphasis on youth programming, a budget $100,000 higher than the 2015 festival and now with a lineup of interesting new venues, Impact 17, the international theatre festival has reinvented itself. The bi-annual festival, which runs Sept. 26 to Oct. 1, has kept all the best bits from the previous four seasons including three international acts as well as stories from within Canada, theatre from an Indigenous and LGBTQ perspective and theatre that explores the experiences of new Canadians. “We’ve been trying to centralize, to bridge acts from Canada and outside Canada,” said the festival’s artistic director, Majdi Bou-Matar. There are also stories from around the globe, stories that explore modern thought and culture. Bou-Matar also sees this festival with its 60 performances as an antidote to the racially-charged vehemence that has been making headlines recently. 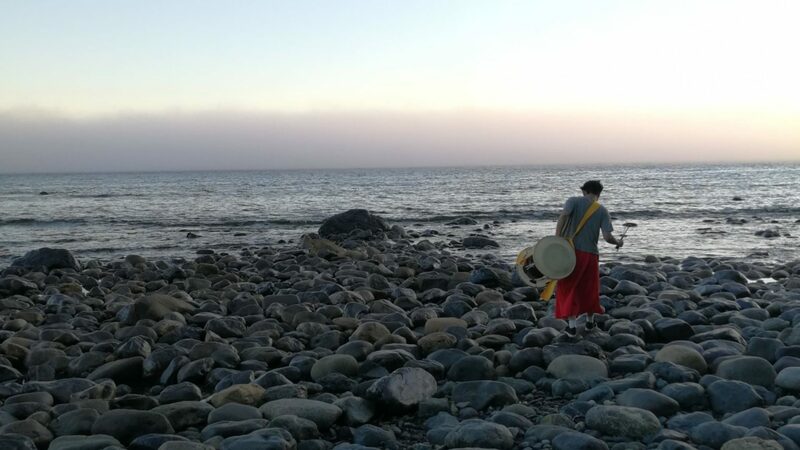 The festival, he said, must reflect Canada’s cultural diversity, with stories told from within our own history as well as from the perspective of new Canadians. This is the first year that Bou-Matar has been the bi-annual festival’s artistic director exclusively. The founder and long-time artistic director of MT Space Theatre turned over that leadership role to Pam Patel last year so he could concentrate on Impact as well as his own acting career. He also scours the globe, looking for compelling new performers then offers them a place at Impact. 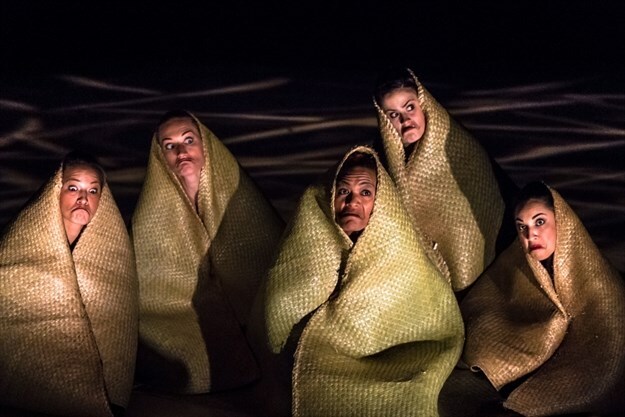 The festival’s offerings this year include three international acts, “Mana Wahine” an all female Maori dance group from New Zealand and “Azul” a multi-media performance from Mexico. The third show, “The Raft,” is a co-production between Tunisia’s El Hamra Theatre and MT Space and based on migrants fleeing to Europe across the Mediterranean on rickety boats. Their story delves into tales of how human smugglers take desperate migrants’ money then drop them on some remote Tunisian coast telling them, “this is Italy” said Bou-Matar. Each of the people on the raft has a unique story, often recounting why they decided to risk their lives to get to Europe. “They all dream of a peaceful land,” he said, adding the actors perform on a trampoline which means they are constantly moving as they would in a small boat tossed about on a sea. “It’s highly visual, it’s physical and it’s captivating,” he said, adding the show will also have a couple of dates at the Registry Theatre after the festival. In an interesting double bill “Maggie & Me” about Indigenous practices in this modern world will be presented alongside “Moi-Me-Man” an Iranian revolution perspective. In both cases, the stories are about culture and tradition under threat. One of the most visually interesting performances is “Dance Machine” a 64-piece instrument made from bamboo suspended from a copper disc. This kinetic sculpture makes sound when humans interact with it, touching or completely rolling around inside the structure. Impact 17 will also piggy back on “Outfest” a celebration of the LGBTQ community though one-act plays, dance and a musical homage to Broadway. “Outfest” is extending its own festival run by two shows which they offered to Impact 17. The festival has not ignored Waterloo Region’s technology hub. “Entangled” is a collaboration of musicians, physicists and theatre artists exploring how algorithms are changing society. Bou-Matar is particularly pleased that this year Impact 17 has really focused on families. “Stories to Build a Home” is a collaboration of MT Space Young Company. These new Canadians tell their own stories about how they all ended up in Kitchener. Another show, a shadow puppet theatre entitled “The Flood” tells the story of the biblical flood that is apparently a story not exclusive to Christianity. Venues for the festival are as unexpected and varied as the performances themselves, including Kitchener City Hall, downtown back alleys, a church, Kitchener Gaol Courtyard as well as the usual spaces at the Conrad Centre for the Performing Arts and the Registry Theatre. There will also be after-parties at the Impact Festival Bar, featuring festival performers such as poet slam artist, Janice Lee. For the first time this year, the festival partnered with Schneider Haus, the historic Queen Street site. This is a first for the festival where music, theatre and storytelling will take place throughout one facility. In the back alleys of the downtown, “Asphalt Jungle Short Shorts” returns, performed in all those hidden spaces. It’s like a 50-minute walking tour of the city, only there are six actors instead of architectural highlights at every stop and according to playwright Paddy Gillard-Bentley, the themes this year are quite dark. As in years past, Impact will feature a three-day conference where the conversation about building cultural bridges will continue in an open forum. Patel, a proponent of theatre as a powerful instrument for social change, believes Impact 17 will explore issues of race, culture and immigration, issues that impact everyone. “We’re all responsible,” she said.